When someone understands Calvary correctly, it changes how you look at everyone you meet. There are two points I’d like to make concerning this passage. The text before us reveals the explanation, first off, for why Christians are too many times looked at with disdain. Jesus wasn’t telling us that if we are judgmental of others, “God” will be judgmental of us. NO NO! Though this is the common interpretation of Jesus’ words here, this is not His intent at all. Jesus’ intent is more to communicate that like produces like! If we are respectful of others, others will be respectful of us. If we give attention to others, others will give attention to us. If we are kind to others, this will awaken kindness in others toward us. If you truly love others, others will love you back, for even “sinners love those who love them.” The reason that so many in our world today are critical of Christians is that quite honestly, for two thousand years Christians have been critical of those who were not like them! Just stop and think about it. But the second, and most important thing I’d like to point out is this idea of throwing your pearls before swine. NO ONE uses that which is sacred as dog food! NO ONE takes pearls and throws them out as worthless pig slop! Jesus here, by His comparison, is hoping to effect a paradigm shift for His disciples. 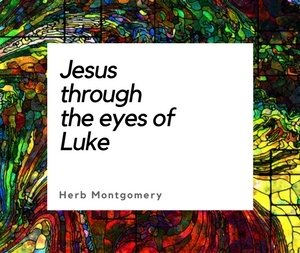 Jesus, by implication, is asking the disciples why they are taking these people, whom He has esteemed as “better than” Himself, as having inestimable worth, as being worthy of coming to this planet and living a life of radical other-centered self-sacrificial love for, why are you looking at these people, even if they are tax collectors and whores, and placing them in the category of pig slop and dog food? In light of Calvary’s love, Paul makes the most beautiful statement He possibly could as to how we, as followers of Jesus, are to treat others. Love like the sun, love like the rain. And go enlarge the kingdom.